A. V. Ilango is a Mathematics graduate and a self-taught artist who opted for a career in art. His early work used a colourful palette, recalling verdant and vibrant scenes, inspired by a childhood spent in south India's hinterland. He now lives in Chennai. Over the years, the urban milieu and the city's folks have found their way onto his canvas and in the last ten years, his compositions have turned minimalist with black and white dominating. Ilango has held several exhibitions in India and abroad. His artwork in Tulika's Who will be Ningthou? 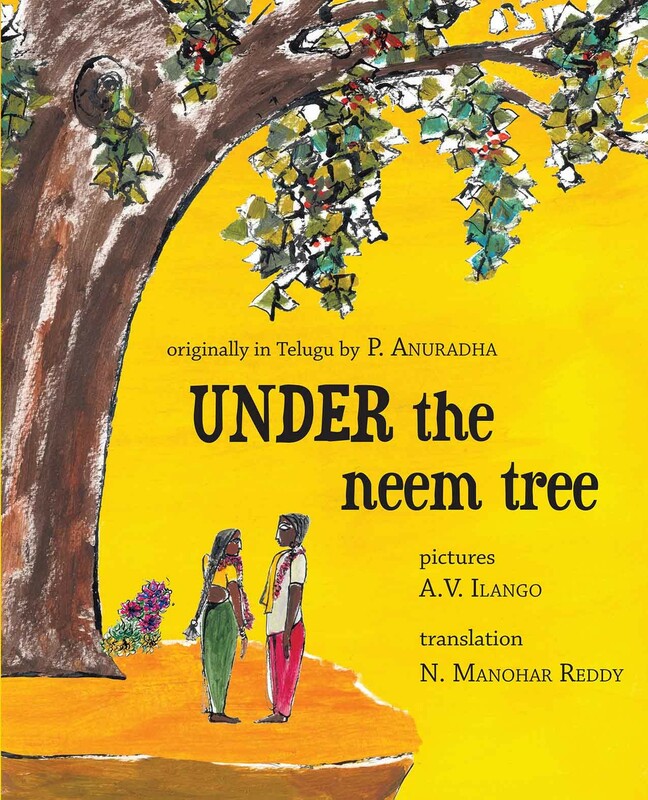 and Under the Neem Tree melds folk art and strong, abstract lines and shapes that are visually striking. Who should get more rottis — Ookamma or Ookaiah? 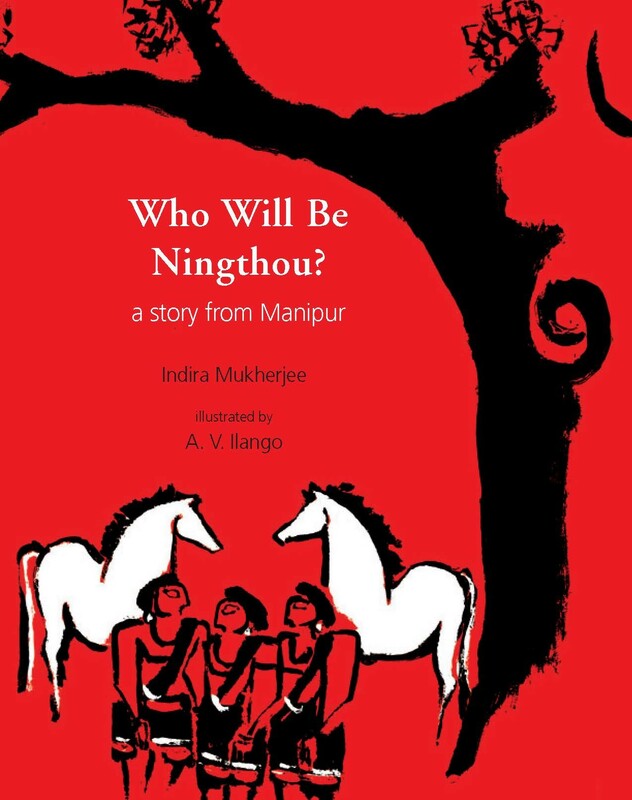 The coming together of two stories, one real and one folk, gives the telling a tender yet amusing twist. Well known artist A.V. Ilango's strong, flowing lines recreate the earthy ambience of rural Andhra. Award for Excellence in Publishing from the Federation of Indian Publishers, 2000 for Tamil translation Yaar Adutha Ningthou?